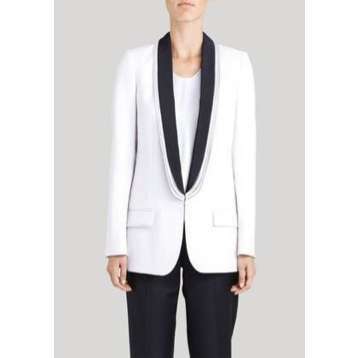 This Stella McCartney blazer is no longer available and has been worn by Julia Roberts and Katie Holmes. Price unknown. Although it has a few differences, this Express jacket will give you a similar look for a more budget friendly price. It retails for $108 and you can click on the photo below to purchase.